The competition is now open for entries until 3rd May 2019, and asks entrants to tell BMI about their views on how the roofing sector is changing and how their education has changed their plans for their future career. Finalists will come together in July for a 2-day event – where they will receive training and compete on a number of elements about running their own roofing business – including business planning, presentation skills, and technical skills. This isn’t the first time BMI has run the competition, and in fact, the two previous competitions were hailed a great success having unearthed some exciting roofing talent. 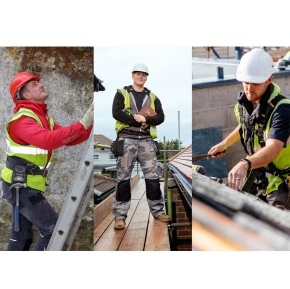 The competition provides encouragement, support and recognition to the emerging talent in the roofing sector, along with their employers and course tutors. The competition this year will award both a pitched and flat roofing Apprentice of the Year, following the addition of a flat roofing category to the 2018 competition. This was made possible following the coming together of Icopal and Monier Redland to form BMI UK & Ireland, making it the largest manufacturer of flat and pitched roofing and waterproofing solutions in the UK and Europe. With over 14,000 people leaving the forces each year and with so many of their skills, talents and attitudes perfect for construction, organisations like BuildForce are actively working to recruit service leavers to the industry. Not only does the outdoor life and camaraderie match that of their previous careers, but roofing also gives them the opportunities to work in a skilled environment where they are well-placed to deploy their self-discipline, teamwork and initiative. Former soldier Tom Thompson was Highly Commended in the 2018 pitched roofing category, and has since then has gone on to win Rising Star in the Pitched Roofing Awards and has just been appointed a CITB Construction Ambassador, with a remit to share his experiences with young people in schools and colleges who are considering a career in construction. Whilst, Cieran Peel-Price, a finalist in both 2017 and 2018 competitions, and coincidentally another former soldier, formed his own company with a fellow roofer last year; while Joe Stradling, the 2017 Apprentice of the Year, became self-employed last summer. Mat Woodyatt, BMI Technical Training Manager at the company’s National Training Centre, explains: “It’s important to us to nurture the next generation of roofers because, by doing so, we are helping to ensure that roofing flourishes – and achieves the high-quality workmanship ‘in the field’ to which the sector aspires and our end-user customers deserve. By working together to develop and maintain a healthy skills base, we will all be contributing to reducing skill shortages and – in the grand scheme of things – improving national building capacity”.